Welcome to your unique Personal Training experience with PT to YOU. I help busy women of all ages take charge of their health so that they can embrace life’s challenges with renewed energy and confidence!. I believe personal training is a private journey of physical, mental and emotional transformation. Whether it’s variety, motivation or professional expertise that you’re seeking, I can help make the difference. Fully customised Personal Training sessions in the privacy and comfort of the PT to YOU air conditioned studio based in Dayboro, Queensland. Weekly studio training includes: 45 minute 1:1 training session, nutrition plan, daily nutrition coaching, VIP Facebook group, tailored individual programs, monthly newsletter. Too busy to get out your own front door? 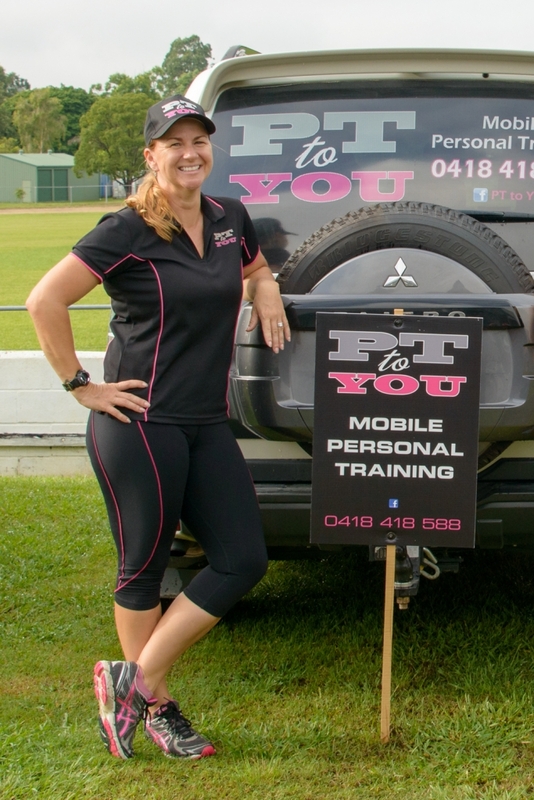 PT to YOU has mobile fitness equipment to bring Personal Training to you in your own home (Dayboro & Districts only). Mobile training includes: 45 minute 1:1 training session, nutrition plan, daily nutrition coaching, VIP Facebook group, tailored individual programs, monthly newsletter. Online Coaching offers you the flexibility to train in your own home at your own pace. The full program includes: customised exercise program; instructional videos; nutrition plan; nutrition coaching; VIP Facebook support group; daily motivation, unlimited message support and access to the PT to YOU app. Online Nutrition Coaching also available! Studio based in Dayboro, Qld, Australia. Mobile Sessions available to Dayboro & Districts only. Please contact me on 0418 418 588, to find the best option for you! Free 30 minute phone consult upon application. Click here to apply today!